Here at Chilli Couture we take styling your hair seriously! 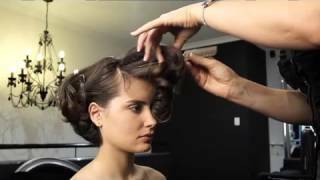 Our Style Your Hair videos from our award winning stylists save you time sifting through amateur online clips and presents clear and high quality video hair tutorials, with an easy to follow menu across all hairstyles. Style Your Hair videos are the ultimate at home hair teacher when your stylist isn’t in your bathroom every morning. We created them for you to recreate professional, salon styles in the comfort of your own home. 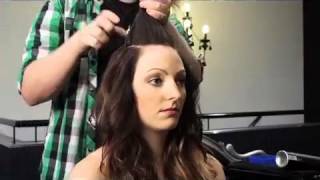 Learn how to Style Your Hair at home with over 90 videos made by the Perth’s best hairdressers; the professional team at Chilli Couture headed up by Rachel Walker. Style Your Hair videos are the ultimate hair teacher videos created for you to learn how to style your hair at home. With both contemporary and classic styles, and lots of tips and secret techniques Style Your Hair is what you’ve been waiting for! Style Your Hair videos are professionally produced with clear and concise instructions and each clip is between 30 seconds and 3 minutes long, covering categories such as: Short Hair Ideas, Medium Hair Ideas, Long Hair Ideas, Curly & Afro Hair Styling, Quick and Easy Up Styles including Bun and Ponytails, Hair Extension Styling, Men’s Styling, Blow Drying Techniques, Thermal styling We are the only salon in Perth to offer you these videos absolutely free! To select a video click on the thumbnail image below. To change the video quality, click the settings option in the bottom right of the video.